Wearable conversation pieces. Enjoy perusing a sampling of each of these different lines of jewelry. A selection of my jewellery is available in my on-line store. Custom orders are also welcome. And if you are interested in process, check out my Instagram and blog posts. Handmade Beautiful Bytes jewelry by Leslie Leong, Canadian Artist, living and working in Whitehorse, Yukon. Ming Tubes, reClaim pendants with Opal and freshwater pearl by Leslie Leong, Canadian Artist, living and working in Whitehorse, Yukon. 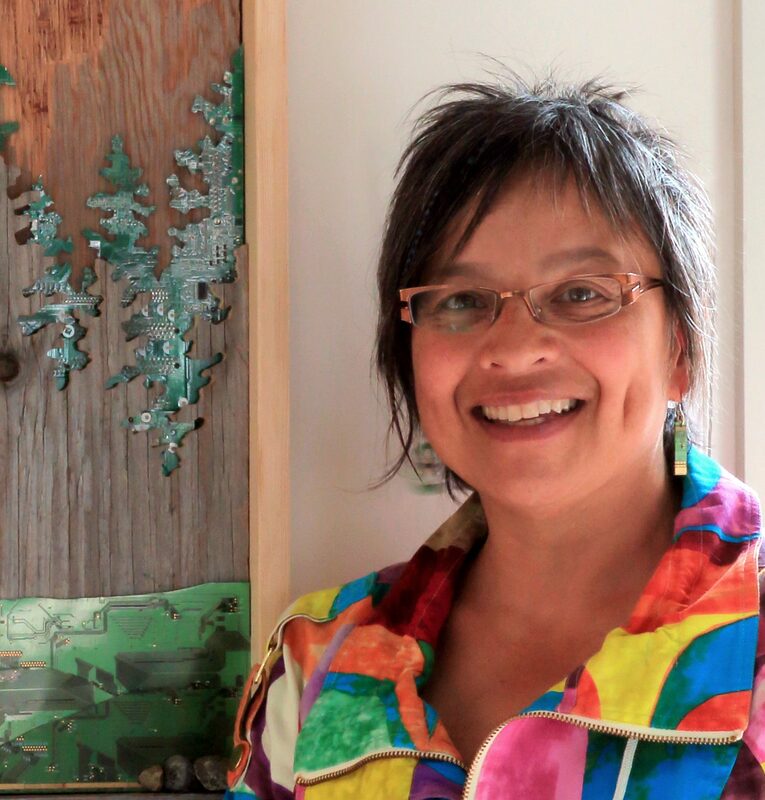 Handmade reClaim jewelry by Leslie Leong, Canadian Artist, living and working in Whitehorse, Yukon. Terra Luna: handmade reticulated copper jewelry focussed on recycled copper.